At Harold Moore Builder, Inc., we service what we build - and even what we don't! We are your one-stop shop for general maintenance. Through our long term relationships with numerous sub-contractors, we eliminate the need for you to call, schedule, and manage several separate specialty contractors on your own. Proactive maintenance is essential to preserving the value of your home and business. Without it, either could lose value. Regular, routine maintenance enhances curb appeal, ensures safety, and prevents neglected upkeep from turning into costly major repairs. 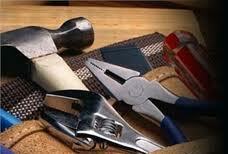 There is no repair too large or too small for us to handle professionally and promptly. Your service will be performed by skilled contractors who are polite, professional, and trustworthy. Contact Us to learn more about our Repair and Maintenance Services. Copyright 2011 Harold Moore Builder, Inc.. All rights reserved.